MUMBAI – Pune Warriors captain Yuvraj Singh produced an impressive all-round performance, but failed to stop Delhi Daredevils from posting a thrilling three-wicket win in the Indian Premier League on Sunday. MUMBAI – Audi, the German luxury car manufacturer, today presented Indian cricketer Yuvraj Singh with an Audi Q5 for his brilliant performance in the ICC World Cup 2011. Michael Perschke, Head, Audi India along with Indian cricket legend, Ravi Shastri presented the ace cricketer with the keys to his brand new Audi Q5. “I would like to congratulate Yuvraj Singh on being declared the Man of the Tournament at the ICC World Cup 2011. AHMEDABAD – India sparked jubilant celebrations among its billion plus fans after ending Australia’s remarkable 12-year reign as World Cup champions with a thrilling five-wicket win in the quarter-finals on Thursday. Chasing 261 for victory, India fumbled and faltered but half-centuries from Sachin Tendulkar (53), Gautam Gambhir (50) and Yuvraj Singh (57 not out) eventually helped them to overwhelm the target with 14 balls to spare and set up a mouthwatering semi-final with Pakistan. 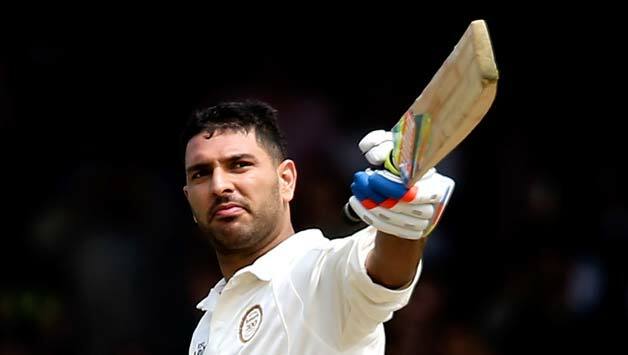 CHENNAI – Yuvraj Singh’s all-round performance set up India’s 80-run victory over West Indies in the final World Cup Group B match on Sunday. Chasing 269 for victory, opener Devon Smith’s cultured 81 kept West Indies in the hunt but the two-time champions lost their last eight wickets for 34 runs to collapse for 188 in 43 overs.